Chloe: How do you define calling and how would you like to modify the way people view the idea of a "calling"? Jeff: I love that word - some people refer to it as your life's purpose or your life's work. I like the idea of a calling because there is a sense of otherness to it, some people would attach spiritual connotation to it, I would do that - I don't know that you have to do that - but a calling really is as simple as the reason that you were born, the thing that you can't not do, and that could be the things that you can't not do, but it really is the work that you're propelled to do, the life that you're meant to live beyond just a job or a hobby. This is the thing that, at the end of your life, you're going to feel like you missed it. I do think that you can miss it and I wrote The Art of Work to broaden our understanding of calling not as something that really special people or really lucky people get to do, but something that we all need to do and it is not a process of setting out a perfect plan and going and achieving it, its really about taking the life the life you've been given - which I think if we're honest, most of us feel like it's not enough, that we weren't lucky, we have certain disadvantages that other successful people don't have - and that's probably true, but that doesn't really matter. What matters, I think, is you have been given something - this thing called your life - how are you going to make the most of it? It doesn't mean that you have to replicate somebody else's success, it does mean that you can't sit around your whole life wondering, "What if?" or "What could've been?". In the book, I mention this quote: "What makes a life extraordinary aren't the chances we get, but what we do with them." And that, I think is calling. Chloe: Tell us why you wrote The Art of Work. Jeff: I wrote the book because I felt like it needed to be written. I felt like there were a lot of people talking about how to be successful, like "do these seven things and it will work." Then I felt like there was another school of thought that said you don't have to have a purpose to your life, you don't have to have a calling and both of those things depress me...I cannot swallow the idea that life does not have meaning - it does not sit with me. I felt like there were folks who were talking about the practical process of chasing a dream - and I think there's a lot of merit to that - and I read books that were more about the esoteric, spiritual side of figuring what you're going to do with your life - and again I don't have any problem with that, but I didn't see a lot of people talking about both - talking about the intentional stuff that you have to do - the work that you have to do - and then also the mysterious stuff that happens along the way. The truth is if you chase your dream - if you pursue your calling - you will get lucky. There will be things that will happen and you'll say, "Wow, how did that happen?". And there will be times when nothing seems to be happening - and you will have to work really hard - and I think it's both...you've got to work hard but then there are these things that happen that just kind of blow your mind. I didn't see a lot of people talking about it like that and I wrote The Art of Work to at least present another way of finding your purpose. Chloe: How does failure lead us to success? 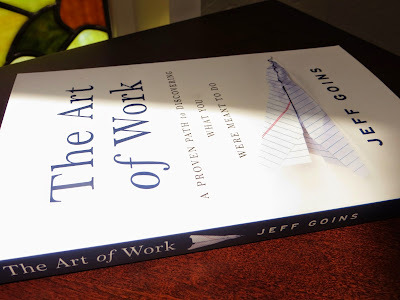 Jeff: In The Art of Work, I interviewed a bunch of people who are living their calling, doing really interesting, meaningful work, and one of the common themes that kept emerging was failure in all these lives - including my own. Then when I was reading all of these biographies of famous/successful people - people like Walt Disney, Mother Teresa, and Steve Jobs, to name a few - not perfect people, but people who made a mark on the world - who figured it out and went after it - they all had failure, like seasons of failure, years of failure. I thought that was interesting because most of us fear failure. The interesting thing about failure I learned is that failure isn't the thing that prevents you from success, it leads you to success. When we look at people who have succeeded who have also failed, people like Michael Jordan for example, who didn't make the varsity basketball team in high school, usually the story we say is that he succeeded in spite of failure. That is not true. Michael Jordan succeeded because of his failure. It was his failure that forced him to work harder than he was working. When he didn't make varsity, his mom told him to work harder, practice harder, grow. In the book Mindset by Carol Dweck, she says what separates successful people from unsuccessful people is mindset. She distinguishes the difference between a 'growth mindset' and a 'fixed mindset'. So Michael Jordan did what a lot of us do and thought "I'm just not that good". That's a fixed mindset - this idea that your abilities/potential is more or less fixed. A growth mindset would say "I can get better" and that's what Michael Jordan's mom taught him. In a more recent example, Groupon did not start out as this group coupon company, they started out as this philanthropic endeavor, using social media to help individuals to find local meets. It didn't work, it failed. They lost a million dollars appealing to people's more noble, virtuous side - asking people to vote on service projects - so if the most votes came in for working at a soup kitchen, that's what they'd do. It didn't work, so then they thought about how they could use the technology to sell something. All the sudden they have a new business model. Years later, when they did their IPO, it was valued at $13 billion. That is what I call a pivot and that is why it is essential that when you fail, you learn something from the failure, and then you make an adjustment and you keep going. That's how failure can turn into success. Chloe: In The Art of Work, you write that when you find yourself at the pinnacle of personal greatness, you may just be getting started. What do you mean by this? Jeff: There's a theme in the book that I have been learning over the past few years, I'm 32 years old, I'm a newer dad, our son is 3, and all of this stuff kind of happened at the same time - I became a parent, I became self-employed, I figured out what my life was about all around 30. That's kind of a more ambitious stage of life - people are thinking about how to make money, how to be known for something. At the same time, my life was becoming less about me - I'm married, I'm a parent. I learned that it's possible to achieve your dream and not have anybody to celebrate it with because you've burned a bunch of bridges; or assumed that, as Stephen King wrote about in his book on writing, that your life was a support system for the work that you do, when, in reality, the work you do is a support system for the life that you live. Personal greatness is fine, but what it takes to be truly great, as Jackie Robinson once said, "A life is not significant except for its impact on other people". Viktor Frankl wrote that to live a meaningful life, one of the crucial ingredients is you have to have somebody to share that life with, you have to have somebody to live for. When he was in the Nazi concentration camps, one of the things that kept him alive was that he was going to see his wife and family. The belief that they were still alive kept him going. Somebody that pulls you out of your current context and the focus on self, which is so easy to do in this age - focusing my ambition, things that I can accomplish, etc. When you are at the pinnacle of your personal greatness, hopefully you are just getting started, because I think your calling, ultimately, is not about the work that you do, but about the people whose lives you impact and the legacy you leave behind in terms of those that you invested in. Chloe: Because I write about Generation X and the pop culture of our formative years, I have to say that I loved your Luke Skywalker references in the book. When it comes to finding your calling, and even pushing through when it gets hard with that calling, how would you say that Luke is a good metaphor or symbol? Jeff: It's a great metaphor because Luke Skywalker follows the hero's journey process that so many great stories are based on. Luke starts out with this longing, he realizes that his life is not enough. He's living the life of a farmer and it's boring to him, and he wants to go live an adventure. Luke just knows that he is missing out on something. I think we all begin there - we all begin with feeling like there's more to life and I'm missing it...that there's more. Every great story has that - The Matrix, The Wizard of Oz, Star Wars - they all have these characters that start out feeling dissatisfied. I think that's really telling. If you're feeling dissatisfied, that's an indicator that there's a deeper story you need to tap into. In the second movie, Luke is ambitious, he bites off more than he can chew, he tries to face Darth Vader, he gets his hand cut off...and what's interesting about that is that failure humbles him, it makes him train harder. He's not full of himself anymore, he has to rely on the community of other people... he goes back, finishes his training, faces Darth Vader again, and is now a Jedi Master, and, more importantly, he has learned that what's greater than strength is compassion and love and he spares his dad's life. That's the the maturity of a calling - you start out thinking that your life isn't enough, then you get your hand cut off - you have some kind of terrible failure that humbles you - and then like Luke, who [after the journey] celebrates with everyone - friends, Ewoks, everyone partying together - because that's what a life lived well looks like. At the end of the journey/road/marathon, there are people to celebrate with because you were wise enough to bring others along for the journey. Chloe: In the book, you write that when our interests connect with the needs of the world, we begin to live for a larger purpose. What's that larger purpose and how has this proven to be true in your own life? Jeff: I think that there are layers to this. I thought that it was enough to just be a writer, and write great stuff. I also thought this would be enough to just support my family and this would be a job, and it wasn't. I remember having a conversation with my friend Stu when I was making more money than I had ever made before and I thought, "Why am I less happy, why am I bored, why am I a little bit depressed right now?". My friend Stu said that he remembered when that had happened to him - and buying a new house or car didn't excite him. Around that time, Stu took a trip to Africa with his wife, a school teacher, and visited all these rural communities in Kenya and realized there wasn't a school for miles - that these kids were missing out on an opportunity that had given him a lot of luxuries and opportunities to do so many of the things that he did. So he and his wife started this non-profit, building schools in Kenya. What Stu told me was that after he left Africa and came home, he no longer felt guilty about making more than enough money because now he had something to work for that was not himself. I think that's a very simple definition of purpose. I have a friend who teaches memoir writing, and she says a great memoir is always about something, and that something is not me. So if you want to tell a story, it needs to be about a theme that other people can connect with. More importantly, if you want to live a great story, it needs to not be about you. Simply, when I am living a purposeful life, my life is not just about me, when I go to work, or write a book, or teach an online course for writers, it's not just about me having enough money. 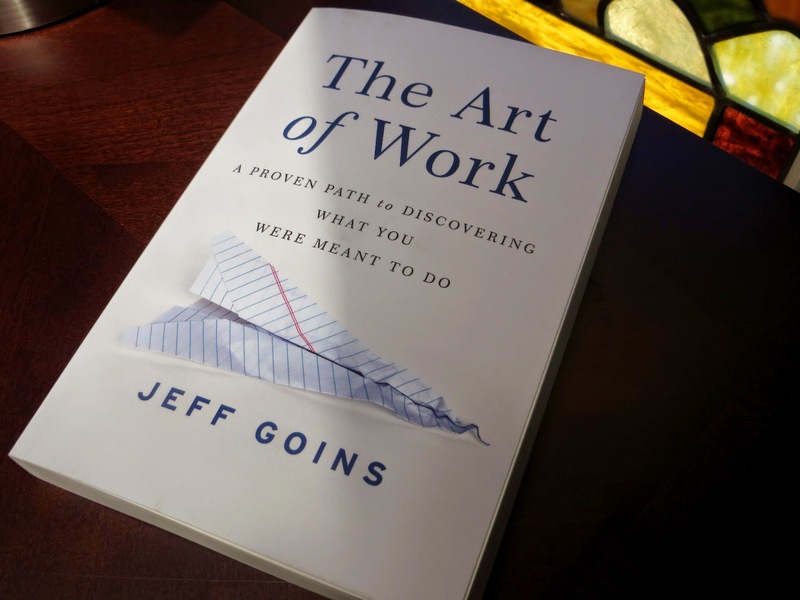 I think work is not just a means of living, its about making a meaningful life, and what that really comes down to is having something bigger to work towards. For me what that's looked like is that when we have more money than we need, we give it away - to charity projects, non-profits, causes we believe in that are making the world a better place. I've done the thing where I've made a bunch of money for myself and I achieved that goal and I felt great for about twelve seconds. If I'm trying to do something big like build an orphanage in the developing world, or help ten thousand people share their messages with the world, that is so much more exciting than an extra zero on the end of my bank account. Chloe: Your book tells us a little bit about the mystery of motivation. Tell us why it's so unscientific and so important to pay attention to. Jeff: I was talking to Daniel Coyle, who wrote The Talent Code, and in that book, he talks about what it takes to become great at something and he debunks the 10,000 hour rule about how to become great at something. He talks about how it's not just about the amount of practice that you do - it's also about how deep the practice is. He says you have to really love it and be really motivated to do it. He says that we don't know where that motivation comes from, what we do know is that it begins with a spark. When you're a parent of more than one kid, you realize how different each individual is. Even if kids are raised in the same environment - the same house with the same values, yet their interests can be very different. One kid can love sports, the other loves chess, etc. It's interesting to watch kids gravitate toward one thing or another - and Daniel Coyle says that's a spark - some sort of initial motivation. That's interesting to me - as a person of faith, I think there is something spiritual there - something you were born to do, God-given sparks that explain why one person loves something and others could care less about it. I think that the mystery of motivation is that you need to be looking for sparks, and once you see them in your own life, or in the lives of the people that you're leading, or the kids that you're raising, you should be looking for those moments, and when you see them, go deeper with them. So when I'm trying to figure out what I'm supposed to do with my life - I'm looking for sparks - for things that I always loved doing...and then I have to practice those things really hard to be great at them. 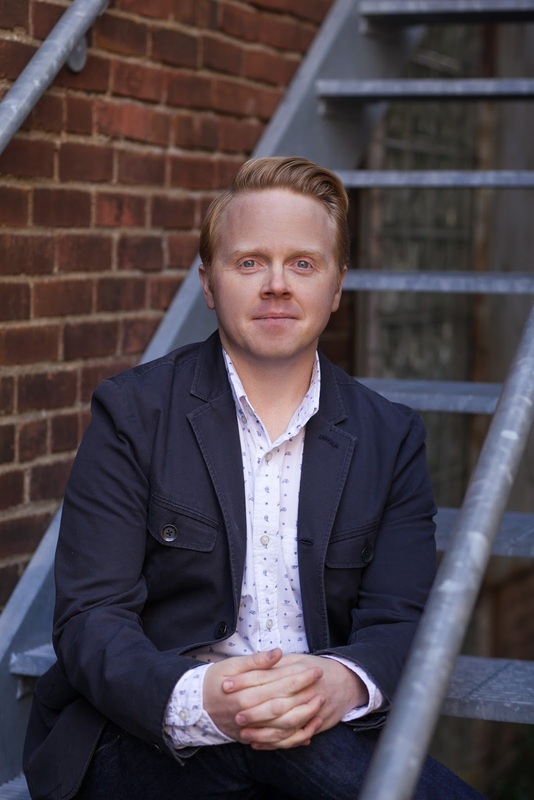 I think the mystery of motivation is that you can become great at something, but if you don't love doing it, it's going to be drudge work and you're never going to be able to master it if you don't have that inherent motivation that Daniel Coyle talks about. Chloe: You write that we don't understand our calling until we get to the end of our lives looking back. Could that apply to us both individually and collectively as a generation, and if that's true, how do we live with satisfaction today? Jeff: Kierkegaard said "Life can only be understood backwards, but it must be lived forward" and that's always true. Hindsight is 20/20. We have these cliches because there's truth to them. So what that means corporately or generationally - I think it means that we have to have the humility to realize that the things that we're supposed to do, we don't fully understand when we're doing them The thing that you think your calling is, you're going to understand better when you're 50 than when you're 20, and what that means practically is that it will look like it changes, but I think it evolves. If I have the same perception of life that I do now when I'm on my deathbed, then I did not grow. When we look back at our lives, they should make more sense, and I think - as an idealist - there is an immature part of me that thinks that I should think the same way that I thought when I was 21 years old and an idiot and thought I knew everything, and if I lose that, then I lose something important about myself - that I'm losing innocence. I don't think you have to lose innocence, but I think you can grow up and understand that when it comes to your youthful ideals, there is a time for everything, "a time to sow and there is a time to reap." I think that when we look back on our life we're going to see two things: 1) we're going to see the people that we invested in and 2) we're going to see the people that we ignored because we were so caught up in our own melodrama. I think that knowing that we're going to look back on that will hopefully make us more aware of the people around us right now that we can be investing in and bringing along for the journey. Chloe: One of the things in the book you wrote about that I really liked is the concept of the portfolio life of our experience - that having a diverse set of skills is a way to ensure job security. This is interesting because both Generation X and Y came into the workforce during a tumultuous time in the economy, so a lot of us did temp work or tried this or that for a couple of years, and then did so many different things for work that we have looked at our resume and thought maybe it was kind of a hot mess. But from a "portfolio life" perspective, maybe within all those different experiences there was a common thread, or maybe those experiences collectively brought us to our ultimate calling. I really liked the portfolio life concept you wrote about and I was wondering if you could elaborate on that. Jeff: I think that there is this old way of looking at work - that you're going to do this one thing for forty years - that you're going to go to college, get a degree, you 're going to learn how to do this thing, and then you're just going to do it forever. That's not the way the world works anymore - organizations don't survive for forty years anymore, much less a job. So what I think that looks like for us - those of us in the workforce, or entering the workforce, or trying to figure out what's next - there's been some really interesting research about this idea of a "portfolio life". This is a term I borrow from Charles Handy, who in 1989 predicted that this was going to happen: that organizations were going to get smaller, and the freelance community of people who had lots of different gigs at different seasons of life was going to grow. Now there have been several interesting studies; there was a study a few years ago that Forbes released about the freelance community, and they predicted that if the trends continue, that by 2020, half of the American workforce is going to be freelance, and by 2030, about 60 percent. So if you have a portfolio life, organizing the work that you do as a collective of all you've done, and not just one thing, it might feel weird now - it feels weird for me to say I did all these different things - and it looks kind of messy, but it will not be weird very soon, and in fact people who led portfolio lives for years, I think, are going to have a competitive advantage. We're seeing that more and more. What does it look like now, if you're a writer and you're just a writer and you don't care about technology? Or what does it look like if you're a really great administrative assistant, but you don't know how to use a computer? This is so much a part of our culture right now that we take for granted the fact that everybody has had to learn multiple skills to just keep a job. I know people who haven't, who did not do this, who focused on one thing, and the world changed, and that pension they were counting on didn't happen, social security wasn't as great as they thought it was going to be. They're having to re-enter, in the second phase of their career, what they thought would be close to the end, and it's kind of a new beginning, and they're scared. In his book, Mastery, Robert Greene says the future belongs to people who can take various skills and combine them in interesting ways. I think that's true - I think that's the future - I think that's the way human beings are actually wired - I think it's more natural for us than just doing one thing over and over again like a robot. I think the cool thing about having a portfolio life is when you're doing something that kind of feels relevant and then you look back and you realize that it taught you so much about the thing that you're doing now. There was this anonymous quote that I read that I love and it was, "Every single thing that has happened in your life is preparing you for a moment that is yet to come." How much more could you dig in and discipline yourself doing the work in front of you right now - doing what's in your hands to do right now - if you have that perspective. Understanding that it's "not exactly everything I want to do but I can add it to my portfolio and who knows how this is going to help me in the future?" The Art of Work can be found online and in book stores. I wanted to help get the word about it because I feel that when we give to the world through our calling, both individually and collectively, we can truly leave the world a better place for future generations. As Generation X takes on more and more of a leadership role in society, being clear on our calling becomes even more important. As a writer, I'm especially excited about more Gen Xers finding their platform as writers.